Depending on your dog’s personality, the arrival of house guests could mean a few different things. First, for the nervous dog, strangers in the house could send your pup straight to his favorite hiding spot under the bed. For protective pups, there’s the risk of confusing friend for foe. And finally, our easily excitable tail waggers can’t help but cause chaos during already hectic visits. Regardless of the category your four-legged family member falls into, introducing your dog to guests doesn’t always go as planned. Your dog’s behavior can make inviting friends and family into your home stressful. Whether your guests stay a few hours or a few days, you want everyone to get along. Here are a few tips to keep the peace. The first step in prepping your dog for an influx of guests involves being honest about his strengths and weaknesses. Is he well socialized with people? Does he remember his basic training even when he’s distracted? Is he a bite risk? Your plan moving forward will depend on what you already know about your dog. If he’s been part of the family for a while, you can already predict how he’s going to react when that fateful doorbell rings. For dogs new to the family, you can make an educated guess based on his current behavior. To plan how you’re going to handle the visit, make a list of your concerns. Then make plans to address each item before introducing your dog to guests. Good manners around guests isn’t something your dog will learn right away. It’s different for every situation, but most dogs spend several weeks practicing before they can successfully use their newfound knowledge in real-deal situations. 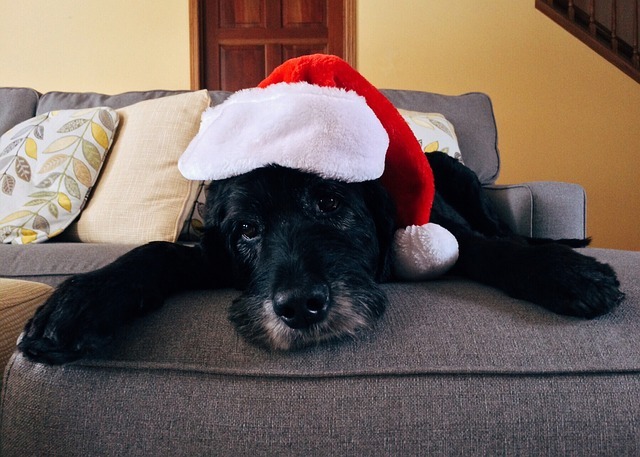 If you plan on opening up your home for Christmas, you’ll want to start training your dog for the occasion before Thanksgiving. Starting early is the first step, and then you need to follow through. Plan to dedicate a little part of each day to your dog’s training. Training a dog to interact appropriately with guests will be trickier than teaching the basics like sit and stay. How you do it will completely depend on your dog’s personality. Training a nervous dog to accept attention from strangers, for example, is a lot different than training an overly friendly dog not to jump. iHeartDogs has a series of training videos that will help. Regardless of what you’re doing, Blue Pearl Vet Hospital suggests ignoring your dog when he misbehaves and rewarding him when he practices good manners. If he jumps on a person at the door, for example, that person should completely ignore him until his paws are on the ground. As soon as he’s under control, he’s rewarded with the attention he craves. If you’re struggling, a call to a dog trainer will go a long way. Setting rules with adults is one thing, but introducing your dog to guests under the age of 15 is a different challenge. It’s safe to assume your youngest guests will need a few reminders about how to interact with your dog. Victoria Stilwell suggests mediating the situation by personally introducing your dog to each child and showing the kids exactly what to do. For toddlers and other young children, you might need to show them how to pet the puppy nicely. The last thing you want is for your dog to snap at tiny fingers that don’t know any better. When the kids are running off a sugar high and the adults are on their third round of grandma’s special punch, your dog needs a place to escape. Set up an area in an isolated room where he can go to decompress. Make sure you tell the kids this area is off limits. If your dog is crate trained, he’ll be happy to retreat to his crate where he feels safest. A comfy dog bed tucked away in the quietest room in the house will also work. Having a safe space will be especially beneficial for nervous dogs, but it’s also a good idea for those over-eager greeters. 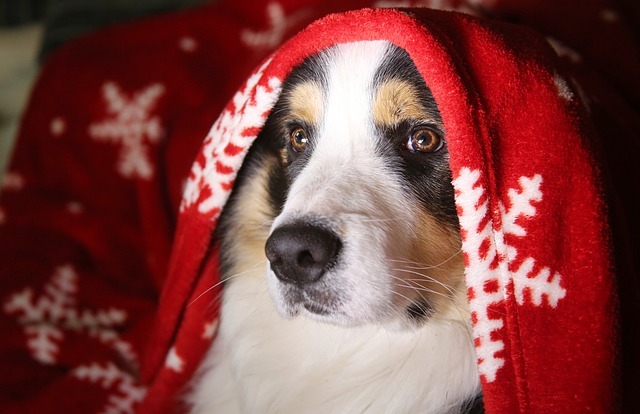 If your dog is showing signs of overstimulation, a few minutes in a quiet area will help him calm down. When you do this, however, remember it’s not a punishment. Don’t drag your dog into the room and slam the door. He didn’t do anything wrong, he just needs time to chill out. It’s easy to forget about walking the dog when your kitchen is full of cousins and the living room is overrun by your in-laws. Skipping out on exercise, however, won’t do you any favors. It doesn’t matter if your dog is excited, nervous, afraid, or anxious—he needs regular exercise. Without it, all that unused energy will pile up. When your dog can’t hold it in any more, disastrous things might happen. (Think Thanksgiving turkey on the floor kind of disastrous.) 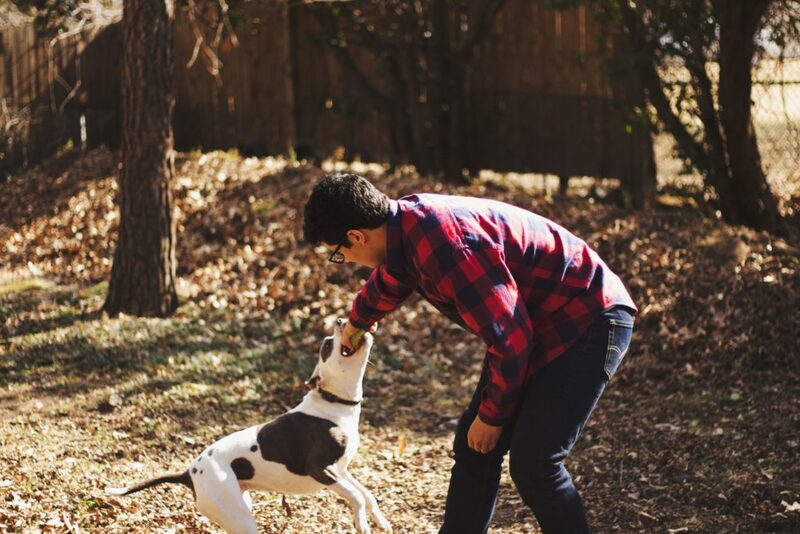 Regular exercise is the key to keeping your dog sane around guests. Having guests over, even for just a few hours, can potentially mess up how your dog expects his day to go. He’s already extra emotional because of the people in his house, and not eating, pooping, or napping on schedule can make him feel even more off-kilter. It’s understandable that you can’t keep things exactly the same, but your dog will feel more comfortable with house guests if they don’t completely disrupt his routine. At a minimum, make sure he eats, sleeps, and goes to the bathroom around the same time as always. Whether your friends and family stay for an hour or a week, the visit will go smoother if your dog is on board. Remember, it’s his house too. He didn’t have a say in who was invited or for how long they stay. He doesn’t deserve to feel nervous or uncomfortable, but at the same time, you don’t want your guests annoyed at your boisterous dog’s behavior. Work your way down this list to make sure introducing your dog to guests is as successful as possible.